Helen Rose Taormina, 80, of Oswego died Wednesday evening in St. Luke Health Services. She was born in Oswego the daughter of the late Dominic and Elizabeth (DiBartolomeo) Pompei. She was married to her husband Anthony Taormina at St. Joseph Church August 24, 1946, and he predeceased her in death March 12, 2009. She was a former employee of Sealright, Fulton, and a past member of the Columbiettes Council #226 of Oswego. 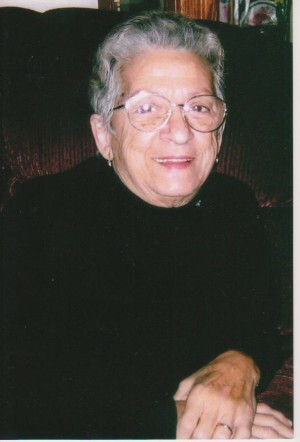 Mrs. Taormina was a very loving and caring wife, mother, and grandmother. She is survived by her children Toni (Robert) Tobin of Pittsfield, MA, Marion (Jerry) Pooler of Oswego, Annette (Dan) Dullen of Baldwinsville, Anthony (Cynthia) Taormina of Liverpool, and Mark Taormina of Oswego. In addition she is survived by her sister Mary Drake of CA, thirteen grandchildren and several nieces and nephews. Mrs. Taormina was predeceased by her brothers and sister Felice, Romeo, Americo, Domenica, Giovanni, Querino, and Thomas Pompei. Funeral services will be Monday 8:00 a.m. from the Sugar & Scanlon Funeral Home and 9:00 a.m. in St. PaulÃ¢â‚¬â„¢s Church. Burial will be in All Saints Mausoleum. Calling hours will be Sunday 4:00 Ã¢â‚¬â€œ7:00 p.m. at the Sugar & Scanlon Funeral Home 147 West Fourth Street, 147 West Fourth Street Oswego.